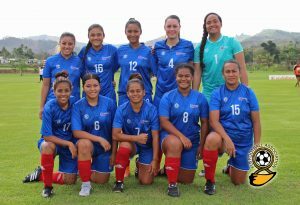 Samoa Football > News > National Team > Samoa National Football Team off to FIFA World Cup Qualifiers. Samoa National Football Team off to FIFA World Cup Qualifiers. It is also on this day that the Men’s National Football Team from Samoa will be in Solomon Islands preparing to face Tahiti in the opening match of the 2012 Nations Cup. The 2012 Nations Cup tournament will also double as the Second Round of the Oceania Football Confederation (OFC) qualifications tournament for the 2014 FIFA World Cup in Brazil. For the Nations Cup Samoa have been drawn into group A along with Tahiti, Vanuatu and New Caledonia. On the teams preparation coach Malo Vaga explained that he was happy with how it was going so far. “Our team has prepared well and we are ready to play. Our boys want to make Samoa proud and as a result they have trained hard in preparations for the tournament”. Samoa’s first game will be against Tahiti. On playing first against Tahiti Vaga added. “Our boys know that it is important to do well in our first match against Tahiti and to get a good result. So we are really looking forward to that game, as well as playing against Vanuatu and New Caledonia”. 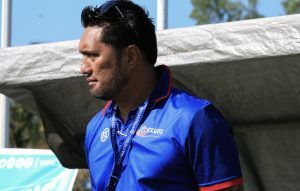 Following Samoa’s first game with Tahiti, the team will than play Vanuatu on the 3rd of June and their final group match will be against 2011 Pacific Games champions New Caledonia on the 5th of June. All games in the Solomon Islands will be played at the Lawson Tama Stadium in Honiara. Group B of the Nations Cup will consist of Fiji, New Zealand, Papua New Guinea and hosts Solomon Islands. To qualify for Nations Cup Samoa hosted and competed in the stage one qualifiers last November. Wins against Cook Islands and American Samoa plus a draw with Tonga was enough for hosts Samoa to progress to the next round. The participating teams at the Nations Cup will take part in a tournament based on a league system with semi-finals and a final and the winner will go on to represent Oceania Football Confederation in the 2013 FIFA Confederations Cup. The four highest-placed teams will then contest stage three of World Cup qualifying – a round robin, home-and-away play-off series. The matches are foreseen to take place between 7 September 2012 and 26 March 2013 in FIFA windows. The winner of the third stage will advance to an inter-continental home-and-away play-off against the fourth-placed team from CONCACAF – the confederation of North America, Central American and the Caribbean – for a place at the 2014 FIFA World Cup Brazil. Previous Post Football welcomes Israeli Ambassador. Next PostGrassroots coaching course helps to build Youth Coaches. Grassroots coaching course helps to build Youth Coaches.